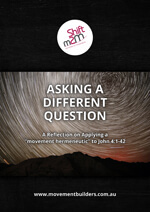 These FREE PDF Books are available to download for personal and ministry use. 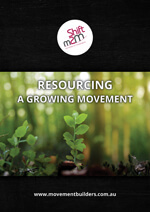 They were written by our Global Youth Initiative and SHIFTm2M partners. Find more books and resources in the Store. 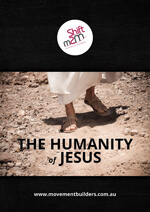 Jesus’ mission involved the essential task of making disciples who would make disciples. That task required connecting with unengaged lost people and walking with them through the process of becoming “disciplemakers”. At the same time, Jesus knew that He would have a limited time of earthly ministry. Let’s face it, being known as the ‘Lamb of God’ has a clear built in end point! Jesus worked with that end in mind. Therefore, He focused on creating a balanced environment for disciplmaking so that a movement could be formed that would continue His mission throughout time until His return. 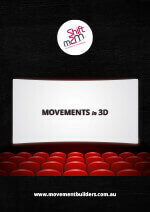 This article explains the relationship between the “ramp” and “arrow” charts in SHIFTm2M. 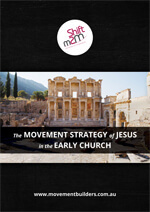 Jesus cultivated a movement of disciplemaking which continued beyond His ascension to heaven. 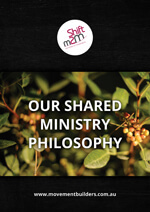 SHIFTm2M is a process by which Christian leaders walk through the span of Jesus’ life to learn from His movement building and to apply the principles to their lives – to intentionally shift from doing ministry to cultivating movements. The purpose of this overview of the book of Acts is to explore how the early apostolic church cultivated the movement building of Jesus. In this paper presented after a Disciple Making conference, Dann Spader addresses the humanity of Jesus and it’s implication for each of us. Guaranteed to make you think, this article will stimulate discussion and force a deeper understanding of what it means to “walk as Jesus walked”. As Dann writes, “nothing has caused me to love Jesus more than to come to understand what He did for us when He took on humanity.” This paper is an attempt to explain that understanding, simply. This paper, also presented at a GYI Forum, looks hard at the role of suffering in leadership and how Jesus responded to it. I Peter 2:21 tells us that Jesus left us a pattern to follow in suffering, and Dr. Spader addresses that from his understanding of the Life of Christ. A special section addressing the role of Jesus suffering as being “progressive, complete, and weighty”, has proven to be very helpful for many in a fresh understanding of Jesus’ humanity. Again, this paper is written with discussion questions, making it a great staff development tool. 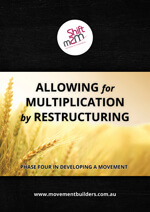 Dave Patty, President of Josiah Venture in Eastern Europe, has written this masterful article about principles of financing a growing movement of multiplication. Josiah Venture in a little over 12 years has over 180 staff in 12 Eastern European countries… all devoted to reaching the next generation of young leaders. You will enjoy this insightful and stimulating article… written to allow discussion of each of the key principles. Dann Spader has grown several ministries through the multiplication phase and multiplied Sonlife Classic to thousands of leaders on every continent. 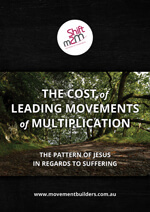 In this article he discusses 9 biblical principles and 8 practical realities in allowing multiplication to happen. Quoting from the business community as well as the Scriptures, this article is written to allow staff discussion and interaction. In this paper, presented at a recent Global Youth Initiative gathering, Dann Spader writes about 12 shared ministry values (common DNA) within Sonlife Classic and the 40 plus Global Youth Initiative ministries around the globe. But more than just these 12 values, Dr Spader addresses lessons he has learned about equipping leadership in a ministry philosophy. Written with discussion questions after each value, many organizations have used this paper as a staff development and staff discussion guide.